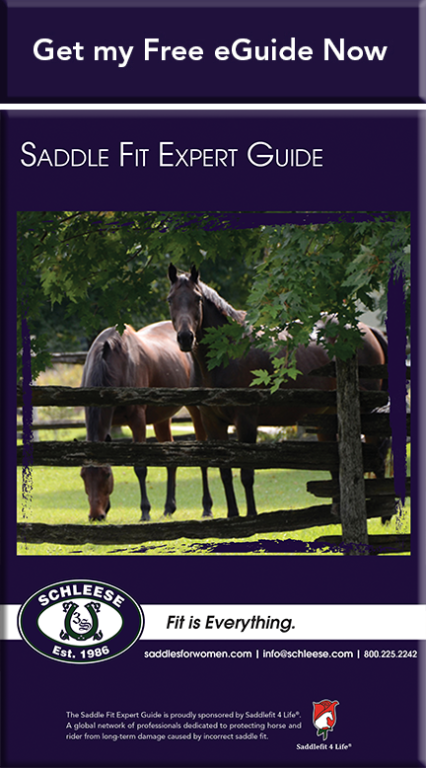 Get your free 11 page eGuide at the click of a button. Learn how to protect yourself and your horse from discomfort and pain due to poor fitting saddles. An overview of unwanted behaviour that may be due to a poorly fitting saddle. How to check if your saddle fits you well. Determine if your saddle fits your horse well. What you need to know if you’re a woman looking to buy a saddle. How to receive the most comprehensive analysis worldwide. Thank you Schleese for an AMAZING saddle fitting today by Matt Hirons. He did a fantastic job doing a much needed adjustment for my young, ever changing mare! Made all the difference in the world on fit for her and position for me! Thank you so much for having Matt on your team! His dedication to his trade is PRICELESS!!! Regards!